The life and work of a nineteenth century philanthropist was remembered in a special church service held in St Anne’s Church, Killough, by the charity founded in his name which continues his work to this day. 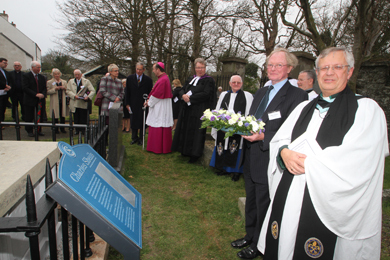 The Charles Sheils’ Charity, which has provided sheltered accommodation to those in need for 150 years, was rededicated at the grave of its founder Charles Sheils following an £8,000 restoration. An unveiling of an interpretative plaque giving visitors an insight into the background of this unique but often overlooked local character was also held at St Anne’s Church on Friday 24 April. 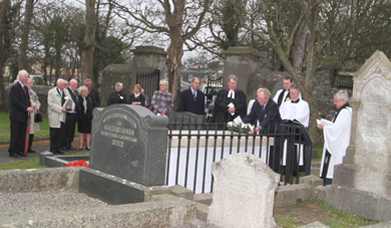 Peter Acheson, chairman of the Charles Sheils Society, lays a wreath on the grave of Charles Sheils at St Anne’s Church in Killough following the redidication ceremony for the restoration of the grave. 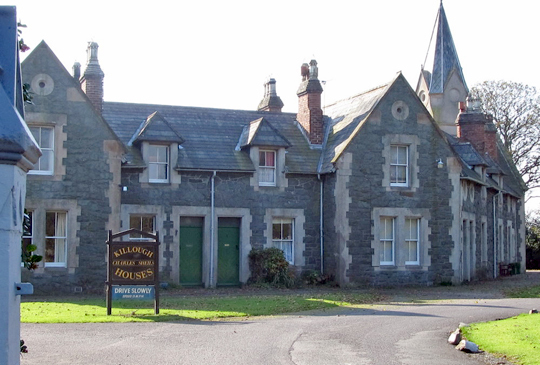 Catherine Moore, superintendent at the charity’s Killough complex, has researched the life of the charity’s founder. “This was a turbulent time in world and Irish history – the 1798 rebellion and the Act of Union was still fresh in peoples’ memories and the Napoleonic Wars were in full swing. The abolition of slavery was a key political issue and the Irish Famine was just on the horizon. “Against this backdrop Charles and his wife Catherine visited Ireland often, and both were very active in the relief of poverty in both Ireland and in England. Charles had a very distinct social conscience and despite his wealth and status, deplored the evils of slavery and the horrendous conditions of the Irish tenant farmer. Peter Acheson pictured with the Very Rev. Henry Hull at the redidication ceremony in St Anne’s Church in Killough. Mrs Moore added: “Charles was a wise and shrewd investor with shares in Irish, English and American railway, hotel and bank stocks. These and his business fortune allowed him to be a very generous benefactor. 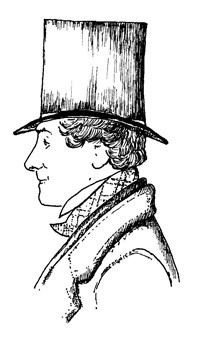 He continually made substantial contributions to charities and, appalled at the conditions faced by those who fell on hard times in the workhouses, was determined that his work should continue after his death. “The executors of Charles’ will were faced with a daunting challenge due to the complexities of this, but they were eventually successful in bringing his vision to fruition with “Charter status” being conferred under the “Charles Sheils Charity Act” of 1864 and amended in 1866. Mr Peter Newton Acheson, Chairman of the Charles Sheils charity, and himself a descendent of Charles’ wife Catherine Newton’s family, added: “Right from the start Charles’ vision was cross-community and non-denominational, in a time when division and suspicion was rife – the Charity was incorporated with the Archbishop of the Church of Ireland, the Archbishop of the Roman Catholic Church in Ireland and the Moderator of the Presbyterian Church as Governors of the Charity – almost unique in its inclusive nature – a spirit of co-operation that continues to this day with representatives of those three churches all attending the service of remembrance. Mr Acheson concluded: “Charles was ahead of his time and his vision for an ecumenical charity which, despite the political and religious upheavals of the nineteenth and twentieth century in Ireland, continues in the form Charles set down in his bequest. And several Sheils’ residents and local board members from Armagh, Dublin, Dungannon, Carrickfergus and Killough. The Sheils houses in KIllough.